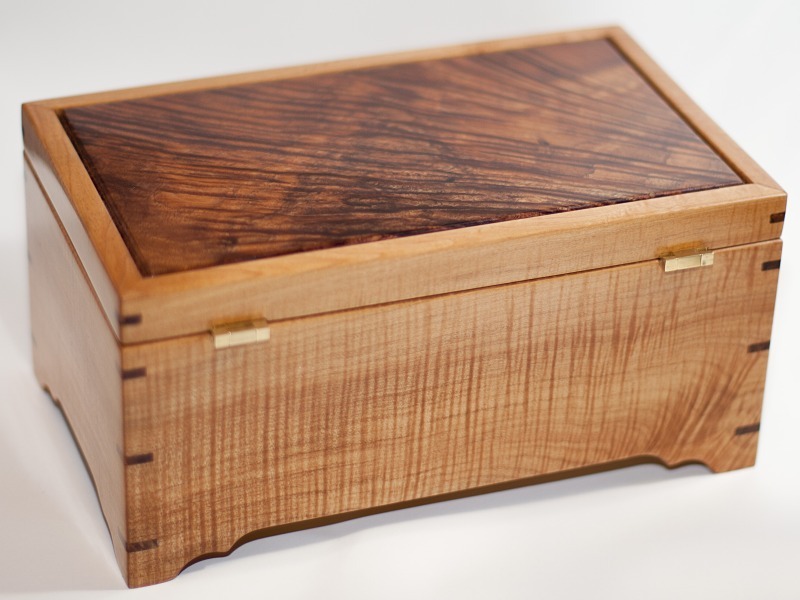 This box is made from figured Maple and Figured Koa. 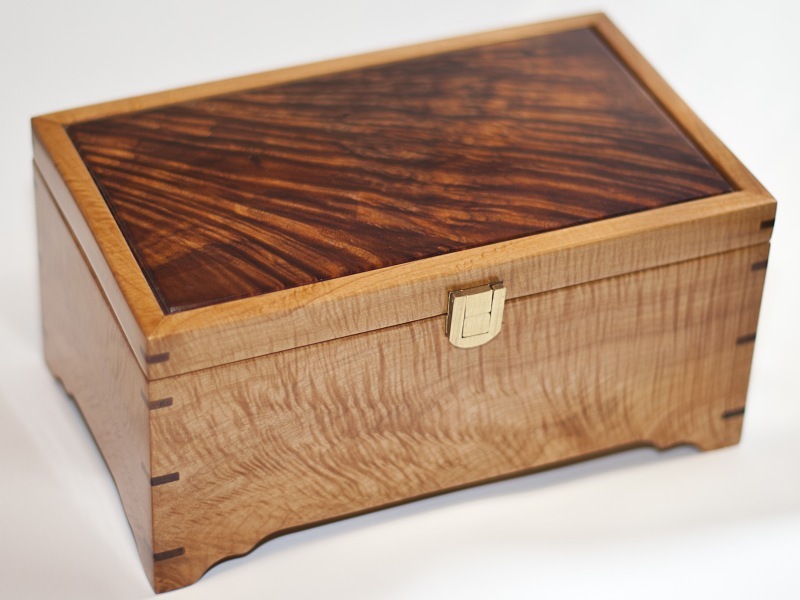 It was made with a four corner grain match allowing the grain to flow around the box smoothly. The inside is divided into three spaces and there are two trays that nest into another removable tray which sits on rails above the bottom area. The outer dimensions are approx. 10" x 6" x 5" tall. Bottom area is 7/8" deep, the bottom tray is 5/8" deep and the top trays are aprrox. 4 1/4" x 4" x 1/2" deep. 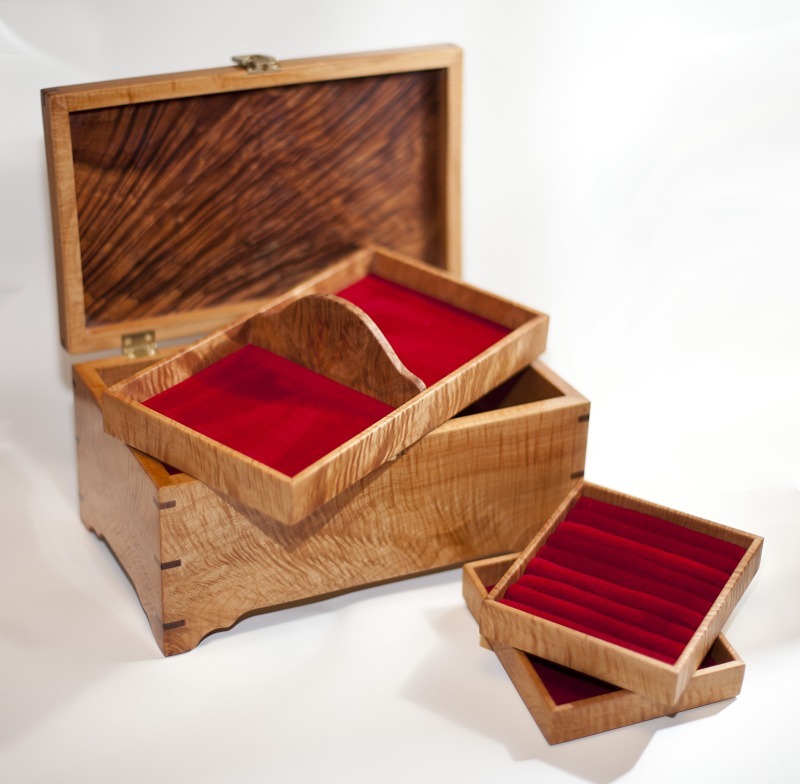 One of the top trays features a ring holder. It was finished with a drying oil on the inside and outside. 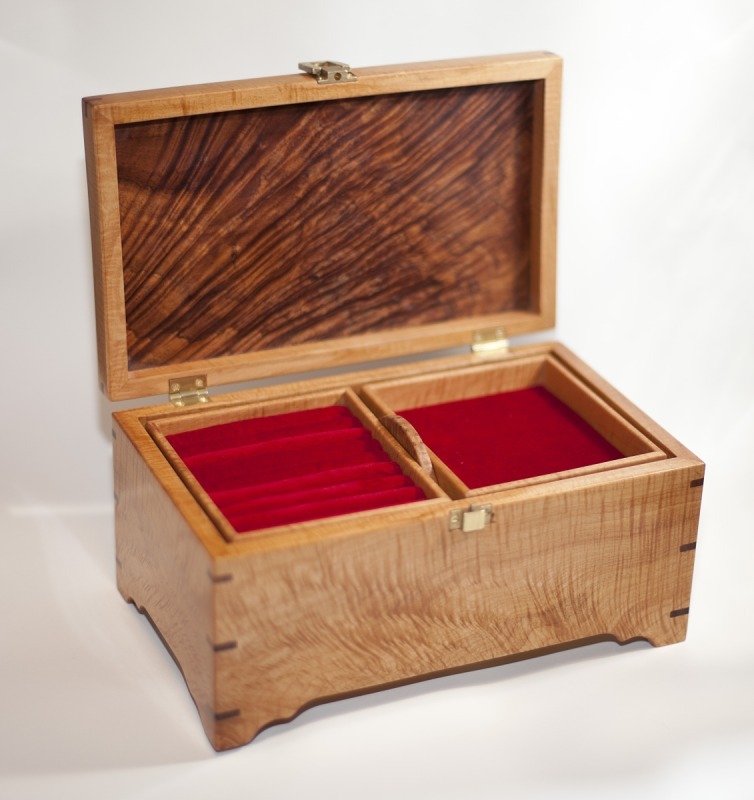 The outside was finished with shellac using a french polish technique and then buffed out with Caranauba wax. 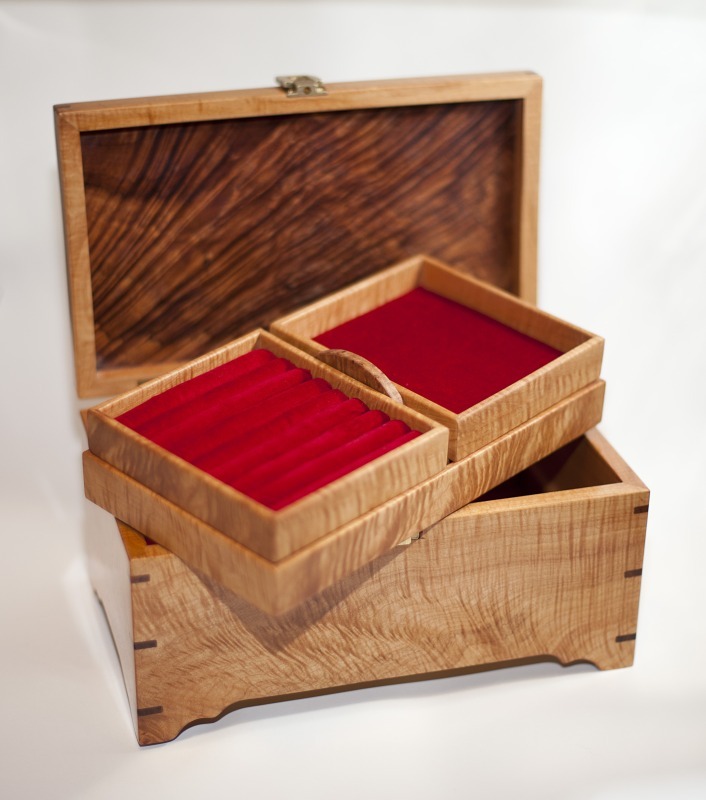 The hinges are made by Brusso and allow the box to be opened 180*. The liner is a velevet material.